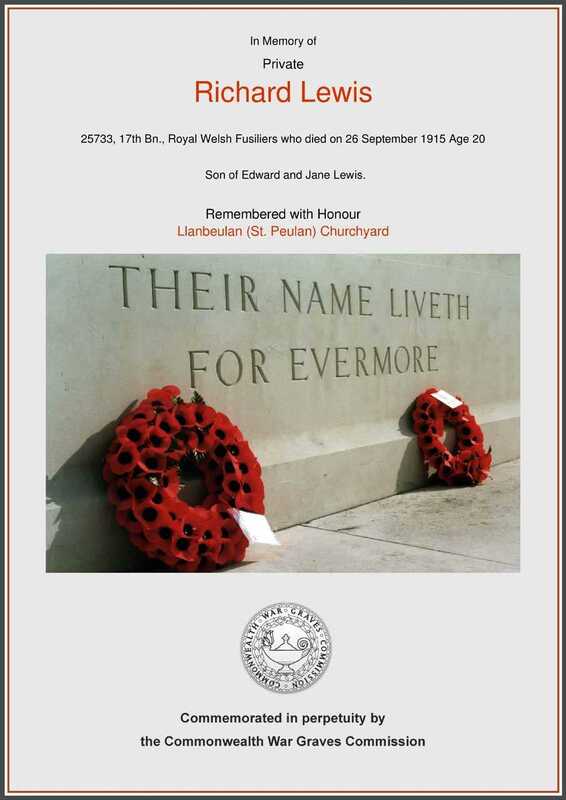 Llanbeulan Churchyard, Private Richard Lewis R.W.F. died 26th Sep 1915 aged 20. 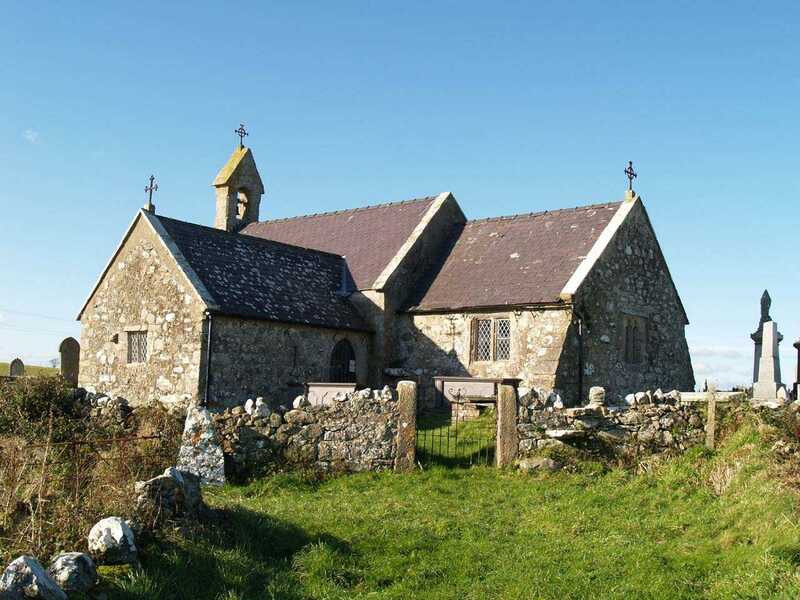 Llanbeulan is in a very rural location on the Isle of Anglesey in North Wales. 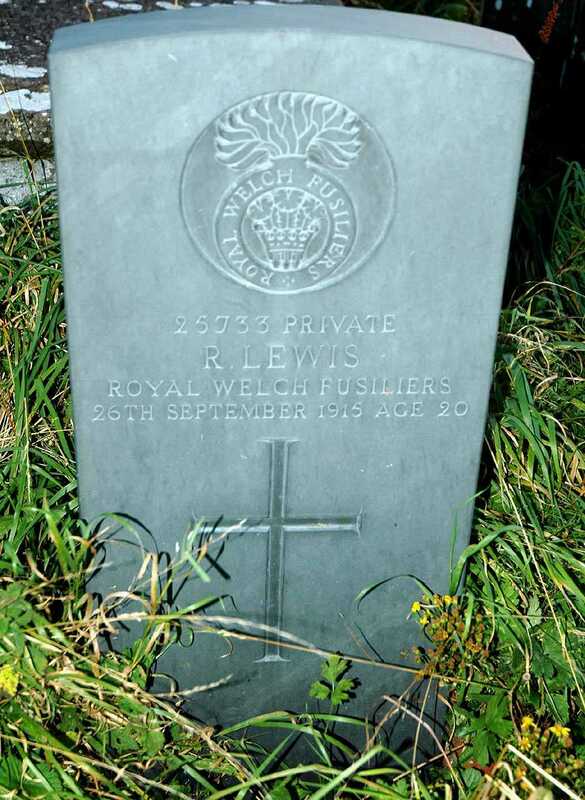 The village does not have a War Memorial of its own, but Richard Lewis a Private in the Royal Welsh Fusiliers was sent home from the war either badly wounded or injured, only to die. He is buried in Llanbeulan Churchyard. CWGC Memorial to Private Richard Lewis died 1915 aged 20. Anglesey, Llanbeulan, St Peulan's Church and gate.